This book is a unique compilation of essays about the genocidal persecution fueling the Nazi regime in World War II. Written by world renowned experts in the field, it confronts a vitally important and exceedingly difficult topic with sensitivity, courage, and wisdom, furthering our understanding of the Holocaust/ Shoah psychoanalytically, historically and through the arts. Authors from four continents offer their perspectives, clinical experiences, findings, and personal narratives on such subjects as resilience, remembrance, giving testimony, aging and mourning. 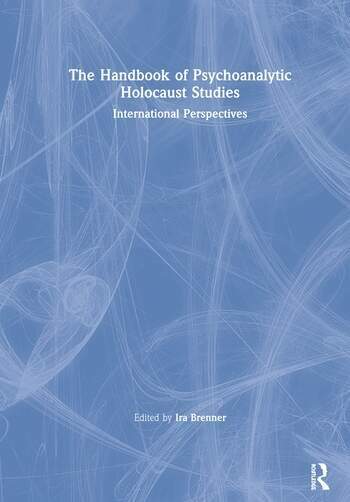 There is an emphasis on the intergenerational transmission of trauma of both the victims and the perpetrators, with chapters looking at the question of ‘evil’, comparative studies, prevention, and the misuse of the Holocaust. Those chapters relating to therapy address the specific issues of the survivors, including the second and third generation, through psychoanalysis as well as other modalities, whilst the section on creativity and the arts looks at film, theater, poetry, opera, and writing. The aftermath of the Holocaust demanded that psychoanalysis re-examine the importance of psychic trauma; those who first studied this darkest chapter in human history successfully challenged the long-held assumption that psychical reality was essentially the only reality to be considered. As a result, contemporary thought about trauma, dissociation, self psychology, and relational psychology were greatly influenced by these pioneers, whose ideas have evolved since then. This long-awaited text is the definitive update and elaboration of their original contributions. INTRODUCTION - Ira Brenner, M.D. Chapter 4...Bearing Witness - Dori Laub, M.D. Chapter 10...Second Generation Identity - Eva Fogelman, Ph.D.
Chapter 18...On Evil – Kathryn Baselice, M.D. and J. Anderson Thomson, Jr., M.D. Chapter 21...Challenges on Stage - Ira Brenner, M.D. SECTION VI - NEVER AGAIN? AFTERWORD - Ira Brenner, M.D. Ira Brenner, M.D., is Clinical Professor of Psychiatry at Sidney Kimmel Medical College of Thomas Jefferson University, and Training and Supervising Analyst at the Psychoanalytic Center of Philadelphia. He chairs the Holocaust Discussion Group at the meetings of the American Psychoanalytic Association, and has been widely recognized for his contributions to the field of psychic trauma.